Jagruti's Cooking Odyssey: Wonder Kid ? - KARELA (Bitter Gourd) Sabji ! We were given a pleasant surprise years ago when my Son Yash enjoyed Karela sabji on it's own...That was an incredible experience for us , because I don't think so I heard any kid would even like to hear the name of this vegetable..CERTAINLY not my daughter...even when I was kid me and my sibling used to hate Karela Sabji...Can't blame any one can you?...I started enjoying karela since I was around 15-16...just my taste buds changed and I loved it...Raj started eating them when I came here and made it forthe first time, he ate it to please me, since he enjoys it too...........otherwise NO ONE in our family wants to know THIS most hated vegetable....whenever I make karela, my daughter tells me "I wish every thing we like to eat..was good for us".............I want to agree with her..but I can't :( and I always answer her " Not all healthy food is tasty and not all tasty food is healthy "...This recipe I learnt from my mum...she used to love KARELA ! Bitter gourd is a tropical vegetable, which is cultivated mainly in the Asian and African countries. It is also known by the name of ‘Karela’ and has a rough, warty skin. As the name suggests, the vegetable is bitter in taste and has a skin that is dark green in color. Bitter gourd has been found to have great medicinal value. In fact, it is said to have antidotal, antipyretic tonic, appetizing, stomachic, antibilious and laxative properties. This is the main reason why the vegetable is used in a number of native medicines of Asia and Africa. Given below is information of the health benefits and nutritional value of bitter gourd. Bitter gourd has been associated with lowering sugar levels in people suffering from diabetes. Bitter gourd helps in improving circulation and in turn, generates slimming effects on the body. I have recently started eating karela and kind of love it too. Sabji looks great. thats for listing the benefits! I am not a big fan of karela..
Btw..have u added any new gadgets to ur blog.. I can see some huge square block on the upper side that makes navigation difficult.. has anyone else said this..
Nicely made and the gor balances the bitter perfectly, I like stuffed karelas. i happen to like karela, this one looks yum! its so nice that at least ur son enjoys the beneficial vegetable! I am the only person who loves karela,haven't prepared with jaggery. Must try .loved reading your post with the accompaniment of songs. Karela has never been hot fav's .. but a nicely cooked /seasoned one is the bestest sabji i cud have! Great new dish to know about! Very informative. I love Karela..
even my younger brother was a huge fan of fried bitter gourd as a toddler. Maa always had problem in feeding him but he used to enjoy this dish on its own. wish my son had shared the same habit. this sabji looks too good Jagruti. 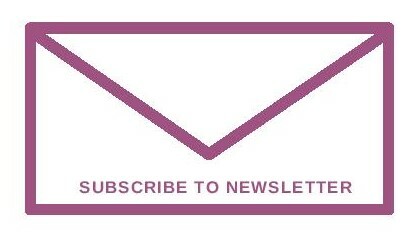 Very good blog is yours. I don't remember when I started enjoy eating bitter gourd, but definitely not as a kid. Yours looks so delectable. 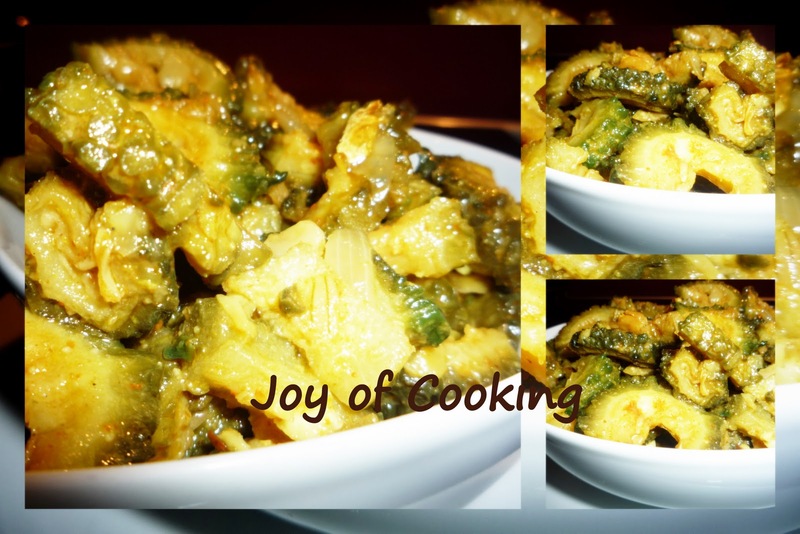 Healthy sabji,can have with anything..
very informative post and the karela sabji is healthy and delicious. it will be surprize to me too if my kids eat karela...lol...too good! 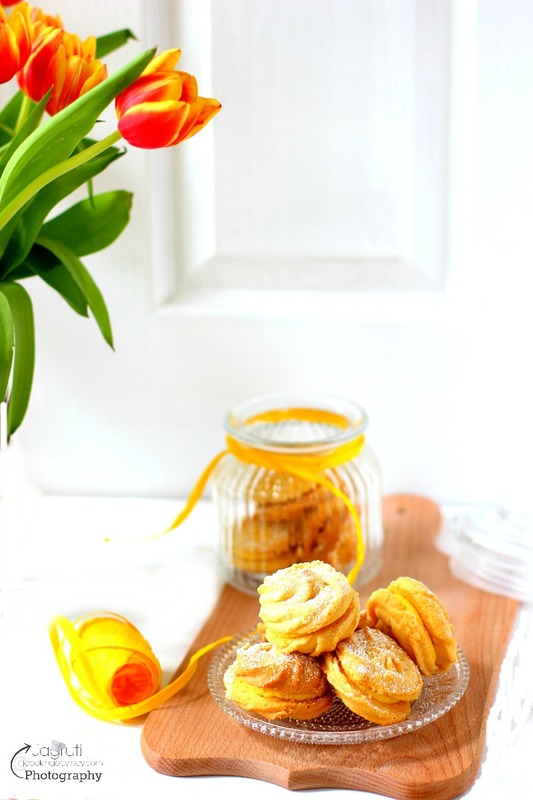 Thatz a aweome recipe yaar..Thanks for dropping by my blog...and wud love to follow u..